A brain tumor is a mass or growth of abnormal cells in your brain. Many different types of brain tumors exist. Some brain tumors are noncancerous (benign), and some brain tumors are cancerous (malignant). Brain tumors can begin in your brain (primary brain tumors), or cancer can begin in other parts of your body and spread to your brain (secondary, or metastatic, brain tumors). How quickly a brain tumor grows can vary greatly. The growth rate as well as location of a brain tumor determines how it will affect the function of your nervous system. Brain tumor treatment options depend on the type of brain tumor you have, as well as its size and location. Acoustic neuroma: Acoustic neuroma, also known as vestibular schwannoma, is a noncancerous and usually slow-growing tumor that develops on the main (vestibular) nerve leading from your inner ear to your brain. Branches of this nerve directly influence your balance and hearing, and pressure from an acoustic neuroma can cause hearing loss, ringing in your ear and unsteadiness. Astrocytoma: Astrocytoma signs and symptoms depend on the location of your tumor. Astrocytomas that occur in the brain can cause seizures, headaches and nausea. Astrocytomas that occur in the spinal cord can cause weakness and disability in the area affected by the growing tumor. Brain metastases: Brain metastases occur when cancer cells spread from their original site to the brain. Any cancer can spread to the brain, but the types most likely to cause brain metastases are lung, breast, colon, kidney and melanoma. Choroid plexus carcinoma: A choroid plexus carcinoma is a rare cancerous (malignant) brain tumor that occurs mainly in children. A choroid plexus carcinoma begins near the brain tissue that secretes cerebrospinal fluid. A noncancerous tumor of this area is called a choroid plexus papilloma. As the tumor grows, it can affect the function of nearby structures in the brain, causing excess fluid in the brain (hydrocephalus), irritability, nausea or vomiting, and headaches. Craniopharyngioma: Craniopharyngioma begins near the brain’s pituitary gland, which secretes hormones that control many body functions. As a craniopharyngioma slowly grows, it can affect the function of the pituitary gland and other nearby structures in the brain. Ependymoma: Ependymoma is a type of tumor that can form in the brain or spinal cord. Ependymoma begins in the ependymal cells in the brain and spinal cord that line the passageways where the fluid (cerebrospinal fluid) that nourishes your brain flows. Ependymoma can occur at any age, but most often occurs in young children. Children with ependymoma may experience headaches and seizures. Glioblastoma: Glioblastoma is an aggressive type of cancer that can occur in the brain or spinal cord. Glioblastoma forms from cells called astrocytes that support nerve cells. Glioma: Gliomas begin in the gluey supportive cells (glial cells) that surround nerve cells and help them function. Medulloblastoma: brain tumor that starts in the lower back part of the brain, called the cerebellum. The cerebellum is involved in muscle coordination, balance and movement. Medulloblastoma tends to spread through cerebrospinal fluid (CSF) — the fluid that surrounds and protects your brain and spinal cord — to other areas around the brain and spinal cord. Oligodendroglioma: This type of cancer forms from oligodendrocytes — cells in the brain and spinal cord that produce a substance that protects nerve cells. Imaging tests. Magnetic resonance imaging (MRI) is commonly used to help diagnose brain tumors. In some cases a dye may be injected through a vein in your arm during your MRI study. A number of specialized MRI scan components — including functional MRI, perfusion MRI and magnetic resonance spectroscopy — may help your doctor evaluate the tumor and plan treatment. Sometimes other imaging tests are recommended, including computerized tomography (CT). Positron emission tomography (PET) may be used for brain imaging, but is generally not as useful for creating images of brain cancer as it is for other types of cancer. Tests to find cancer in other parts of your body. If it’s suspected that your brain tumor may be a result of cancer that has spread from another area of your body, your doctor may recommend tests and procedures to determine where cancer originated. One example might be a CT or PET scan to look for signs of lung cancer. Collecting and testing a sample of abnormal tissue (biopsy). A biopsy can be performed as part of an operation to remove the brain tumor, or a biopsy can be performed using a needle. A stereotactic needle biopsy may be done for brain tumors in hard to reach areas or very sensitive areas within your brain that might be damaged by a more extensive operation. Your neurosurgeon drills a small hole into your skull. A thin needle is then inserted through the hole. Tissue is removed using the needle, which is frequently guided by CT or MRI scanning. The biopsy sample is then viewed under a microscope to determine if it is cancerous or benign. Sophisticated laboratory tests can give your doctor clues about your prognosis and your treatment options. Surgery: If the brain tumor is located in a place that makes it accessible for an operation, your surgeon will work to remove as much of the brain tumor as possible. In some cases, tumors are small and easy to separate from surrounding brain tissue, which makes complete surgical removal possible. In other cases, tumors can’t be separated from surrounding tissue or they’re located near sensitive areas in your brain, making surgery risky. In these situations your doctor removes as much of the tumor as is safe. Even removing a portion of the brain tumor may help reduce your signs and symptoms. Radiation therapy: Radiation therapy uses high-energy beams, such as X-rays or protons, to kill tumor cells. Radiation therapy can come from a machine outside your body (external beam radiation), or, in very rare cases, radiation can be placed inside your body close to your brain tumor (brachytherapy). External beam radiation can focus just on the area of your brain where the tumor is located, or it can be applied to your entire brain (whole-brain radiation). Whole-brain radiation is most often used to treat cancer that spreads to the brain from some other part of the body and forms multiple tumors in the brain. Radiosurgery: Stereotactic radiosurgery is not a form of surgery in the traditional sense. Instead, radiosurgery uses multiple beams of radiation to give a highly focused form of radiation treatment to kill the tumor cells in a very small area. Each beam of radiation isn’t particularly powerful, but the point where all the beams meet — at the brain tumor — receives a very large dose of radiation to kill the tumor cells. Chemotherapy: Chemotherapy uses drugs to kill tumor cells. Chemotherapy drugs can be taken orally in pill form or injected into a vein (intravenously). The chemotherapy drug used most often to treat brain tumors is temozolomide (Temodar), which is taken as a pill. Many other chemotherapy drugs are available and may be used depending on the type of cancer. 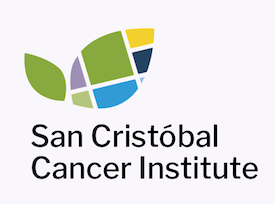 If you’d like to learn more about Brain Tumors through our San Cristóbal Education Resources, attend our events or learn about our Cancer Center, please contact us.